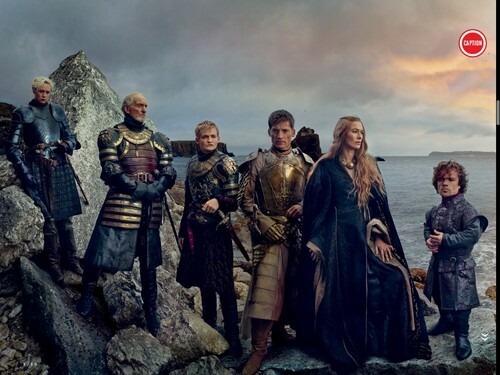 Game of Thrones - Vanity Fair. . HD Wallpaper and background images in the House Lannister club tagged: photo game of thrones vanity fair tywin lannister cersei lannister jaime lannister tyrion lannister joffrey baratheon. This House Lannister photo contains breastplate, aegis, egis, and rifleman. There might also be navy seal, seal, green beret, special forces, elite soldier, and brigandine.